Apollo Sugar Clinics > Conditions > Endocrine Conditions > Cholesterol disorders > What is Cholesterol and is it bad? The very mention of cholesterol bring in thoughts of heart disease and blockage of heart valves. Far from being untrue, these are real consequences of high amounts of only a few kinds of cholesterol. Many people do not know that cholesterol disorders also have their origins in endocrine disorders. 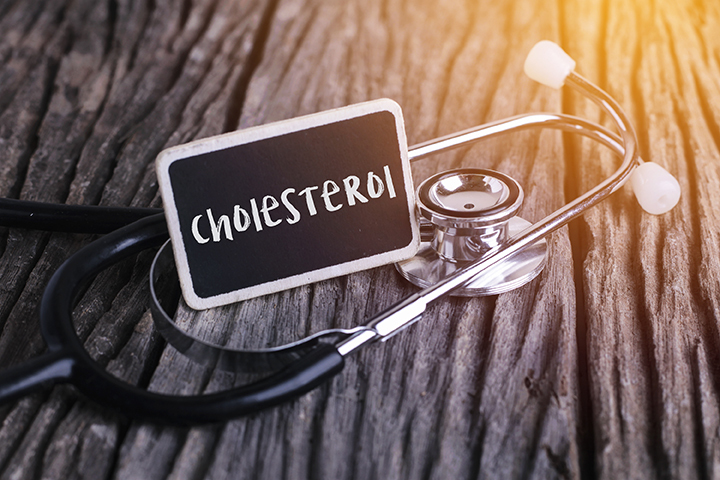 While there is a lot of literature on good cholesterol and bad cholesterol, on how to lower cholesterol and many more, most people do not know that cholesterol is an essential component required for our body. It is not a dangerous poison that is there to create clogs in the heart valves. Consisting of lipids, elevated cholesterol is caused in many cases due to underlying endocrine disorders. Many endocrine conditions like hypothyroidism, diabetes mellitus, growth hormone deficiency, and others have a tendency to create cholesterol disorders. Cholesterol is a waxy substance that is present in the cells of the body. It is an organic compound that contains lipids and is essential for various functions in the body. Cholesterol is vital for many cellular activities, nerve function, production of hormones, synthesis of vitamin D, and to digest foods among others. Cholesterol moves in the bloodstream in the form of lipoproteins, and is mainly produced in the liver. Known as total cholesterol in the body, cholesterol in the body occurs in various types. While some of them have beneficial properties, others are known to cause health complications. Total cholesterol in the body contains low density lipoproteins, high density lipoproteins, triglycerides, chylomicrons, and very low density lipoproteins. This type of cholesterol transports fat through the body. Cholesterol cannot be dissolved in water and so it cannot travel in the bloodstream without binding it to other substances. This binding of cholesterol is done with certain proteins. These are called lipoproteins. Low density lipoproteins are a kind of lipoproteins that transport cholesterol from the liver to various tissues of the body. Low density lipoproteins or LDL cholesterol is also known as bad cholesterol. It is known to lead to heart diseases, atherosclerosis, and cardiovascular disease. LDL cholesterol is known as bad cholesterol as it readily oxidizes and forms plaques that clogs arteries. LDL cholesterol gets deposited in the walls of blood vessels and leads to blockages. High density lipoproteins or HDL cholesterol is also known as good cholesterol. This type of cholesterol carries cholesterol from the tissues of the body back to the liver where it is broken down. It helps in keeping away cholesterol in the arteries and protects against heart diseases. The higher the amount of HDL cholesterol, the lesser is the amount of LDL cholesterol in the body. This means reduced risk of heart disease. Triglycerides are a type of lipoproteins that are stored in the fat cells. Hormonal activity leads to release of triglycerides as a source of energy. A higher level of triglycerides increases the risk of heart diseases as they are known to cause hardening of arteries and atherosclerosis. People have elevated levels of triglycerides due to type 2 diabetes, hypothyroidism, liver disease, and other conditions. Chylomicrons or ultralow density lipoproteins assist in the movement of fat and cholesterol in the bloodstream. They move cholesterol and lipids from the intestines to different parts of the body. People who consume foods with high cholesterol have altered lipid metabolism and remnants of chylomicrons. This is known to cause coronary artery disease. This is a kind of lipoprotein that is produced in the liver and is circulated to various parts of the body. Higher amounts of very low density lipoprotein is known to cause plaque development in the arteries leading to cardiovascular diseases. Very low density lipoproteins or VLDL is mostly made of triglycerides.